At least I did about a week ago! 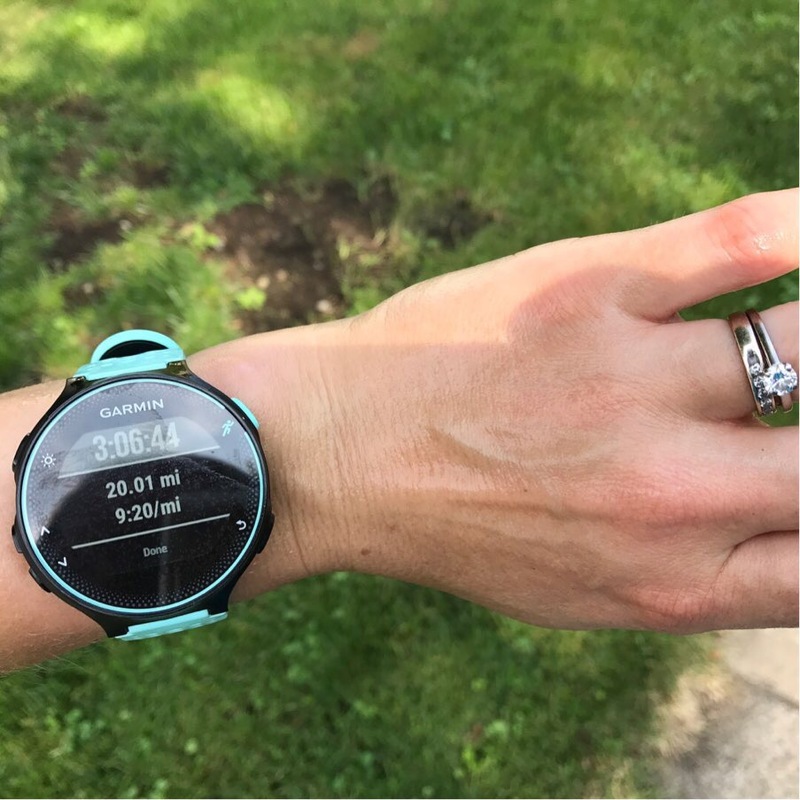 I don’t normally blog about my runs, but this one went SO WELL that I can’t not document it (even if it’s a little late). 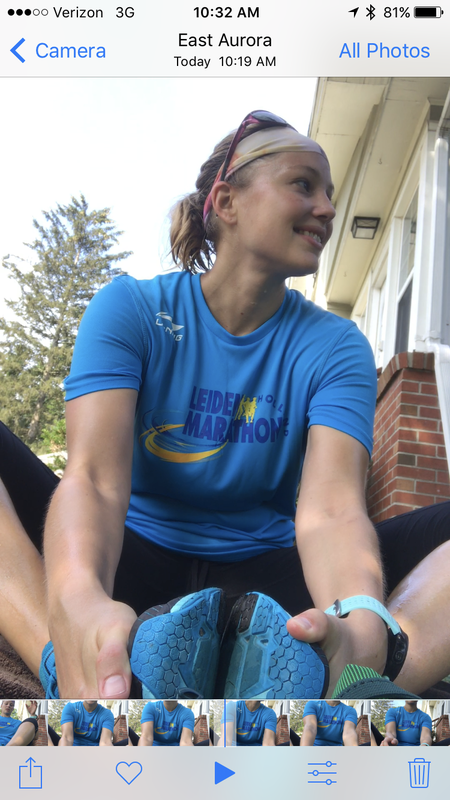 My marathon training plan includes two 20-mile runs, and it’s hard not to be a little anxious about that kind of distance. While most of my training runs have been better than expected (hello, 7:36 tempo mile! ), a few have been particularly tough. There was that time I decided to run late morning in Virginia and crashed in the humidity, and the 15-miler in which I was petering out due to fatigue and stomach cramps–while my friend doing 22 miles had to motivate ME. My first 20-miler was relatively uneventful; a decent run with a couple friends along the way, but I remember also being VERY ready to be finished at the end and slowing down more than I wanted to. This time, however, I was the one doing the long run AND leading the pack! I still kind of can’t believe it. I was able to do about three miles solo before joining up with a couple friends, one of whom was doing a 16-mile progression run (in which miles become increasingly faster). We figured we’d stay together as long as I could hang at her eventual faster pace, and then they’d leave me in the dust. We ran at a leisurely pace for about eight miles together before we said goodbye to one friend and welcomed another and began picking up the pace. I had done about 11 miles at this point and had been feeling great. I remember hitting 9:20, then 9:11, then 8:50 and thinking, “I can’t go any faster than that–I still have four miles to go.” I was pushing it, to be sure. (Spoiler alert: I just ran my last 15-miler yesterday at approximately an 8:50 pace and it felt comfortable.) Mile 14 felt a bit tough, and I was starting to feel a little tired for the next couple. However. Our speed didn’t last long; our cool morning was becoming a much warmer mid-morning and my friend doing the progression run was (unbeknownst to her) getting a little dehydrated and starting to feel it. We backed off the pace and I pulled ahead to navigate our run and maximize our time in the shade. I seemed to have gotten a second-wind! I had us duck into the gravel trail at Majors Park, grateful it was close by and cooler. In about two or three miles, we dropped our tired friend off near her house, and we headed toward our houses, about a mile away. I must have gotten a third-wind, as we picked up the pace on that last mile to a staggering 8:35–my fastest of the entire 20-mile run. No kidding. I was tired, to be sure, but I had it. That morning, I had it. I could have run another 6.2 miles if I’d had to. I couldn’t believe how great I felt. Clearly, my training has been paying off. I’ve noticed it in the speeds I’m able to go and hold for more miles than I previously was able to do, as well as the mental toughness required for this kind of running. When the going got tough, I used to be *so quick* to begin a negative spiral that ended in me walking, or drastically slowing. Now, my first instinct is to push harder. Also, on this particular run, I think my friend’s need for support and motivated almost buoyed me–it forced me to be the cheerleader. Instead of worrying about my own fatigue, I focused on keeping us in the shade on a flat road near her house. Plus, you can’t both fall apart on a long run! The marathon is in two weeks (!!!) and I’m feeling ready, excited and just a little nervous. I’m sure my anxiety will increase as we get closer to race day, but I have the results of my diligent training on which I can rely. Posted on August 28, 2017 August 28, 2017 by thehealthypineapplePosted in i ♥ runningTagged 20 mile run, East Aurora Runners, erie marathon, full marathon, long run, marathon training, progression run, Running. Previous Previous post: Is Soy Good or Bad? Next Next post: we got furniture! Wow, amazing run–looks like you are ready! Good luck with your marathon!